In recent years, the notion of social innovation has gained momentum among academics and practitioners also in relation to its possible role in supporting alternative understandings of dominant modes of accumulation and distribution of goods and services. 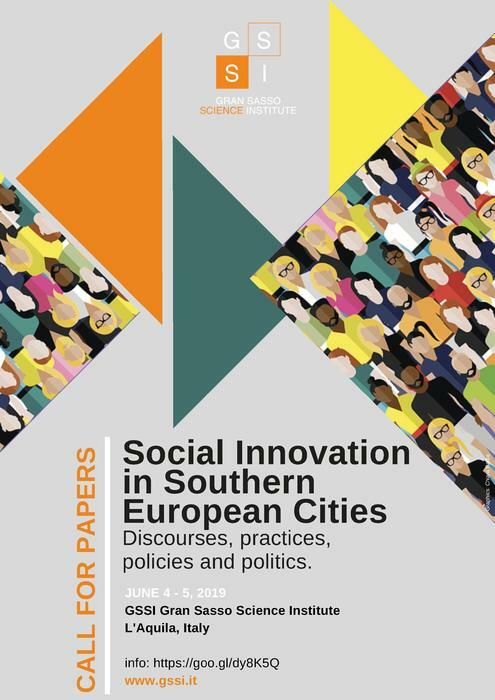 Looking at Southern European cities, social innovation has been frequently linked to ways of creating new urban commons and to efforts aimed at establishing a ‘citizenist’ democracy through the promotion of networks of solidarity, cooperativism, local grassroots initiatives, and new social movements. Ten years after the beginning of the global financial and economic crisis, time has come to pose the question whether social innovation discourses and practices, unleashed in a context of crisis and transition, have effectively gained ground in Southern European cities and in what ways. How much is it ‘social’ in terms of focusing on local communities, creating inter-class cooperation, or bringing new sources of support to counter-hegemonic struggles? And how much is it mere ‘innovation’ that pays less attention to aspects of social justice and to the transformation of inherited neoliberal urban development and governance models, promotes entrepreneurialism, and involve just middle-class interests? The present workshop explores the discourses, practices, policies and politics of socially innovative projects that have been induced by global and local challenges. And in doing so, it takes into account how much these projects are shaped by structural constraints and whether they are able to escape historical or geographical path dependencies characterizing Southern European urban societies. 1) Narratives and policies of social innovation in cities and urban areas in the frame of austerity, state retrenchment and prolonged economic crisis or stagnation; their relation with public assets, with the commons and with privatisation processes; the role of governance actors in shaping such policies - city governments, NGOs, foundations, business, social movements; and the emerging differences and variability between local trajectories in structuring this field of policy. 2) Actors, processes and patterns of emergence and support of actual initiatives, their forms of organisation, scope and aims; the role played by informal practices across the economy and the urban space and their social and class rooting - the involvement of and the orientation to the middle classes, to lower income groups or to specific groups considered “disadvantaged” or “vulnerable” (e.g. young or long-term unemployed, migrants, etc.). 3) The relations between such policies and practices - and the rationale of such relations - with other policy fields and initiatives such as employment and employability policies, human capital, urban regeneration and competitiveness, creative economies, social inclusion and spatial equalization schemes. 4) The ability to impact larger trends and frameworks in policy-making; their effects on regulation and decision-making practices through public procurement reforms or the establishment of participative, collaborative neighborhood policies and arenas; their spatial replicability and scalability; and their larger outcomes/role in the political field (development of discourses of municipalism, localism, social and urban rights). 5) The metrics and evaluation strategies employed to assess the relevance and success of policies and practices, the role played by academic, scientific institutions and consulting firms, the involvement of EU and international discourses, tools and forms of support. Please submit a long abstract of 4.000/5.000 characters (including spaces) presenting the topic, methodology (for empirical papers) and relevance of the contribution by February 11th. Acceptance will be communicated by February 25th. The workshop doesn’t involve any participation fee. However, the workshop participants are expected to arrange and cover their accommodation and traveling by themselves. Lunch breaks will be offered, as well as support in organizing participants’ travel to and stay in L’Aquila.